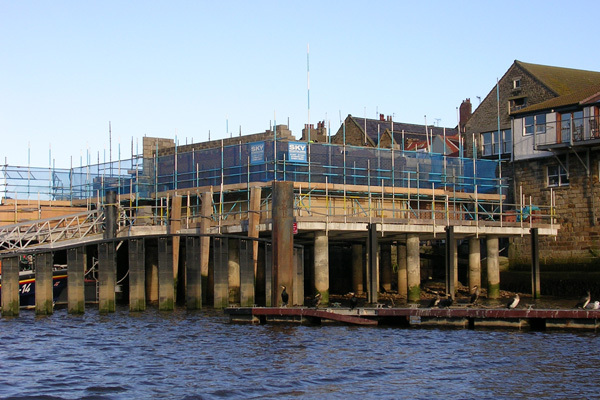 This is the sixth of seven gallery pages covering the dismantling and removal of the Whitby Lifeboat Station house. 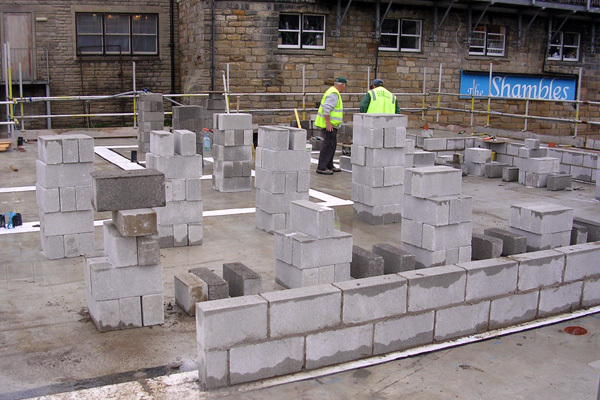 With the piling work completed the building work began in earnest, as the blocks were laid they gave an insight into the building's layout. 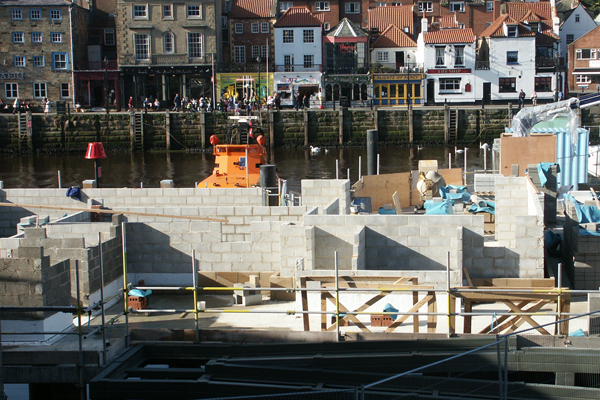 It was soon easy to see how large the building was going to be and early indications seemed impressive. 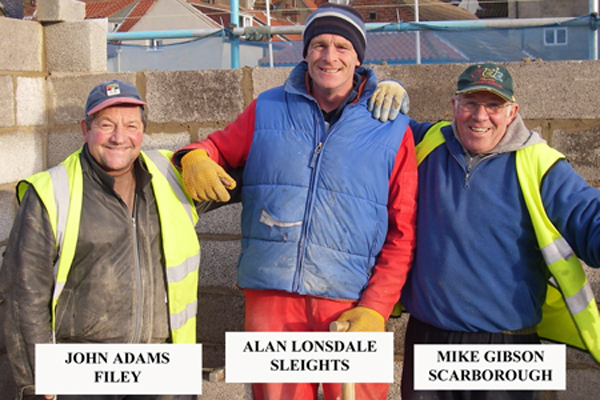 The middle photograph shows three of the builders John, Alan and Mike who have every right to be smiling as they helped produce a wonderful station house for Whitby Lifeboat Station. 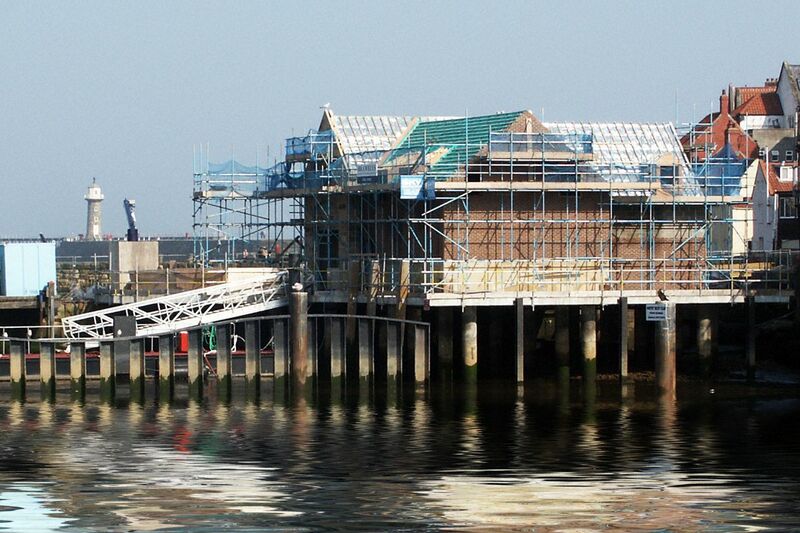 The following buttons link to the other gallery pages. Copyright © Colin Brittain 2011 All Rights Reserved.